This extremely tidy Al Dhaen 360 Open Fisher is the best day boat you could ask for. It boasts a huge single level open front deck, allowing for uninterrupted fishing. The seats along the port and starboard gunwales are easily folded up for space and the large walkaround centre console makes moving about the boat extremely easy. The console has a full head height day head with electric toilet and shower beneath it, which also can be used for storage. Al Dhaens boast plenty of below deck storage and live wells too. A comfortable helm seat puts the skipper in control when the twin 275HP Mercury Verados effortlessly skim the vessel along the water at speeds up to 43 knots. The Raymarine autopilot and radar system are impressive attributes which make trolling a breeze, swing the game poles outboard and hook up that coveted billfish! A powerful Clarion sound-system paired with JL Audio marine speakers will amplify your favourite tunes crisply over the noise of the engines. The vessel was repowered in 2010 with brand new Mercury Verado supercharged outboards which have been rigorously maintained. Enjoy your time on the water with the proven Al Dhaen 360 hull, a true sea boat that can be used in all types of conditions. 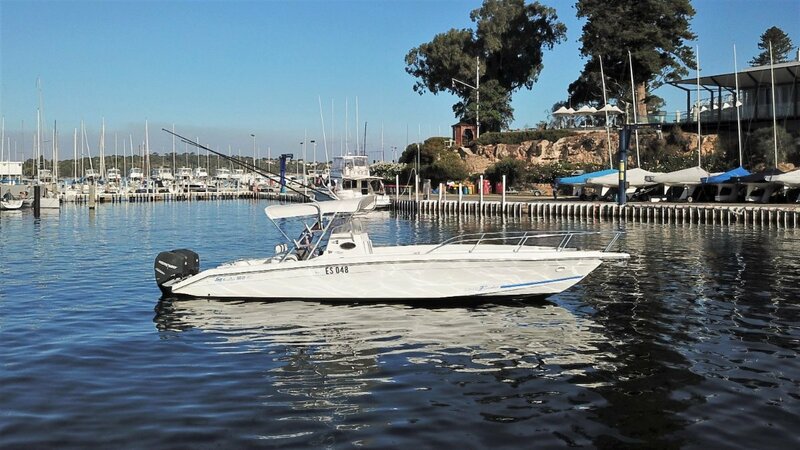 An inspection will certainly not disappoint with this brilliant open centre console sports boat. Call one of our experienced brokers today on 08 9243 6373 or email sales@oceaneermarine. Com. Au, for more images, a full specification sheet and to book an inspection.